This week, The Pollination Project funded several projects that are seeding local solutions to generational poverty in Kenya, Uganda, Cameroon and India. We offer grants and pay it forward zero interest loans (that get paid "forward" to new TPP grantees) to help social change entrepreneurs launch community driven businesses that lift people out of poverty. Here are the visionary leaders we funded this week. 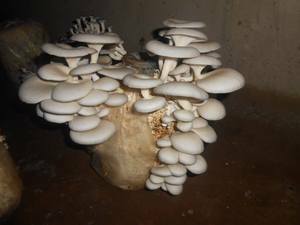 Mushrooms instead of Meat in Uganda. 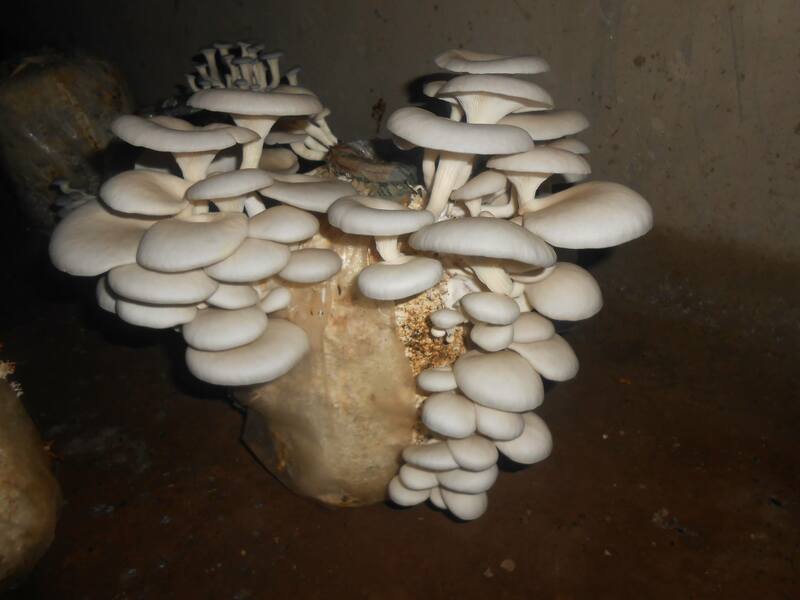 Grace Nakyeyune Kirabo's Community Mushroom Garden is located in the heart of Nakabugo Village, Uganda. The garden serves as an educational space where Grace teaches impoverished families how to grow nutritionally rich mushrooms and provides them with resources for growing mushrooms in their own gardens at home. In addition to providing her community with an affordable and nutritious food stock, Grace's program will help to decrease local reliance on environmentally unsustainable meat products. Art Therapy for Veterans in Worcester, MA. Drawing on her background as an art major in college, Amanda Sullivan founded ARTillery in order to help veterans living in Massachusetts navigate the challenging issues they face once they return to their lives. ARTillery offers 8 week courses where veterans are introduced to the healing potential of art therapy techniques and peer support groups. Amanda is currently in the process of expanding ARTillery's operations by establishing a weekly class and support group for local veterans' families. Youth Development in Uganda. Noeline Kirabo's nonprofit organization Kyusa in Kampala, Uganda is mitigating widespread youth unemployment in Kampala's slums. Kyusa's 8 week experiential learning program provides business mentorship and life skills development. Students are empowered to overcome daily challenges while learning marketable job skills like financial literacy and business management techniques. Business Training for Youth in Kenya. Patrick Jerome is the founder of SOY (Save Our Youths) which empowers youth in the Githurai slum of Nairobi. Through the program, Patrick and his team of volunteers are partnering with local government and business leaders and schools to provide Githurai's most vulnerable youth with job skills and business management training. After completing the program, participants will be offered employment at participating local businesses. Kitchen Gardens in Rural India. 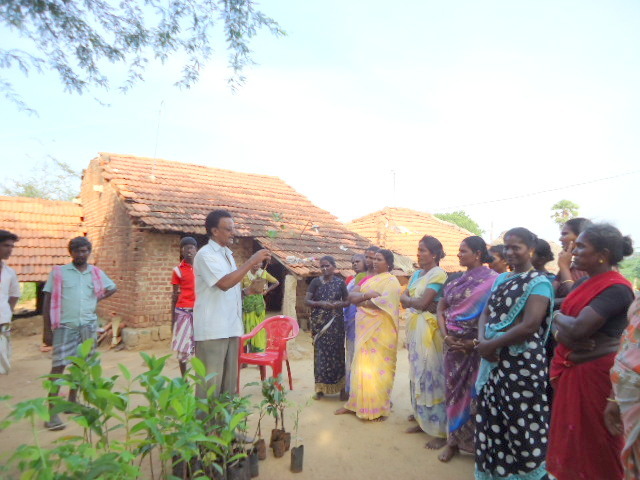 Panchayat Raj Movement (PRM) is a small non-profit organization based in India that promotes sustainable development as a means of achieving lasting social equality for marginalized social groups in the rural Pudukkottai District in India. Through PRM's project, the Promotion of Herbal Kitchen Gardens among the Rural Poor, a team of volunteers is working collaboratively with local leaders to provide horticultural training to over 60 widows and single parent families in 15 different villages throughout the region. Basket Weaving in Kenya. The rural Yatta District of Machakos County, Kenya is home to thousands of small-scale, impoverished farmers who are struggling to cope with a decade long drought. In her project, Empowering Women Through Social Enterprise, Josephine Mbenya is helping local women earn a living by using the drought-resistant sisal plant to make traditional woven baskets for sale in nearby markets. Working together, participants will pool their earnings to form a cooperative bank where they can save for future investments. Organic Crops in Cameroon. 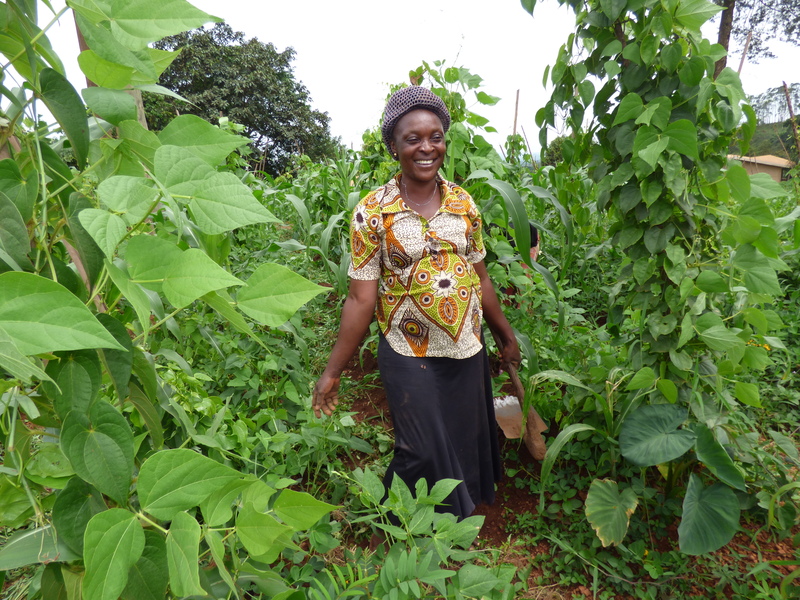 Through his project, AgricInspiration, Wise Nzikie is empowering female-headed households in rural localities near Bamenda, Cameroon. 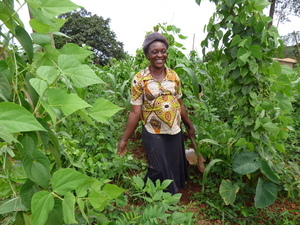 Over the next 12 months, Wise's AgricInspiration program will employ local agricultural experts to provide 30 single mothers with training on the use of sustainable, organic farming techniques. In addition to providing female-headed households with a nutritious food source, the AgricInspiration program will teach single mothers a valuable skill set they can use to earn income at local produce markets.